As literary great J.K. Rowling once said, “A good first impression can work wonders.” And that had me thinking about how important it is in business to bring authenticity to everything we do, and do it well, right from the start. Even before we land a client, we need to think about the approach, and the best way in which to highlight why we are the right fit. One of the things I love about this business are the opportunities to connect with other creative people, and from time to time, share some of the knowledge we’ve learned along the way. Recently, I had an opportunity to connect with someone I had met at one of the business groups I belong to, and while she wasn’t a publicist per se, her field of expertise includes managing talent. In the process of getting press for a client, she asked me to look over a pitch she had put together to send to an editor. Of course I gladly said yes, and not only was I able to help her out, it sparked the idea to share with all of you some of my tips on crafting an effective pitch. First impressions are lasting – hopefully I’m leaving my mark with this one! Know who you’re pitching – Be completely aware of who you’re pitching and their target audience. Is the person or product a fit for them, is your pitch related to what they usually cover? A little bit of research beforehand can go a long way. Story angle should be front and center – As soon as you start your pitch, your angle should be upfront and to the point in a clear and quick way. A long-winded pitch takes way too much time for the recipient to read and you want to let them know you value their time. Be clear right from the start on what it is you’re looking for. Credits upfront – Point out your client’s credits right from the start. If they’ve won an award, been recognized in their field for something specific, or are number one at something, those kinds of accolades should be shared from the start. They add a level of credibility to your client so why not allow those achievements to pop. A brief description in the body – What makes your client unique? You know why your client is a standout, now it’s time to share their value. Make sure to address questions like, why will the audience will be interested in the story, why it will attract traffic and interest? You don’t want your recipient to have to ask themselves these questions, the last thing they’re going to want is extra work. Indicate additional information is included – There’s a good chance you may have additional information in the form of images or even press articles and it’s always a good idea to include as you wrap up your pitch. Don’t suggest that you have the information and can send if requested; share it from the get-go. You want to make saying yes as seamless as possible. Social media engagement – While this is not directly related to one particular pitch, social media engagement can lay some groundwork with a particular outlet. With a couple of likes, and even a few comments, you can put your company’s name on their radar, or at the very least, leave them with that familiar feeling. Craft a unique pitch for every recipient - No matter how many people / outlets you’re pitching your client to, do not, and I repeat, do not send out a generic email. A copy and paste job can be spotted a mile away and is a sure fire way to have your email sent straight to the trash. Avoid using templates as well – authentic pitches, while a little more time consuming, will wind up proving to be more successful in gaining placements for your clients. Media outlets, editors, journalists, all receive countless pitches on a daily basis so it’s extremely important to do everything in your power to make the ones you send stand out from the rest. Get creative, be authentic, and remember, first impressions are often lasting impressions. What are some of the ways in which you approach putting together an effective and creative pitch? 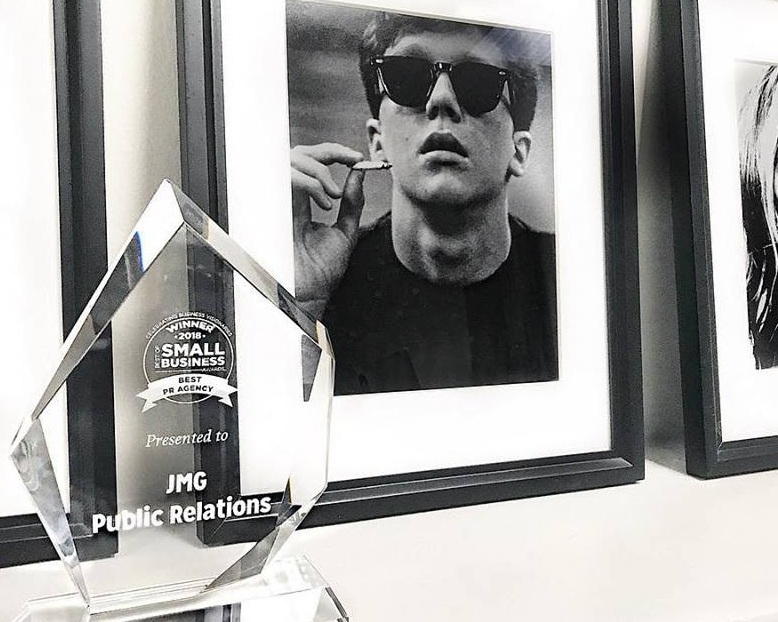 We’re all about collaboration here at JMG PR and would love to hear from you!